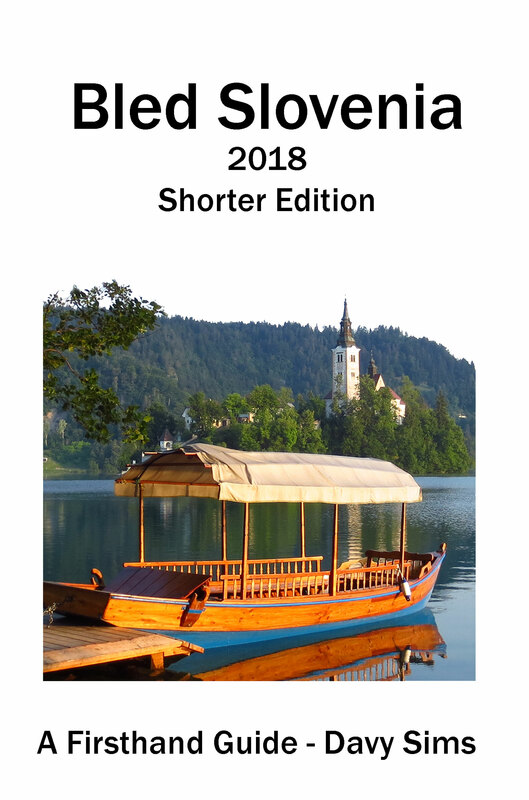 The 2018 editions of Firsthand Guide to Bled are now available. 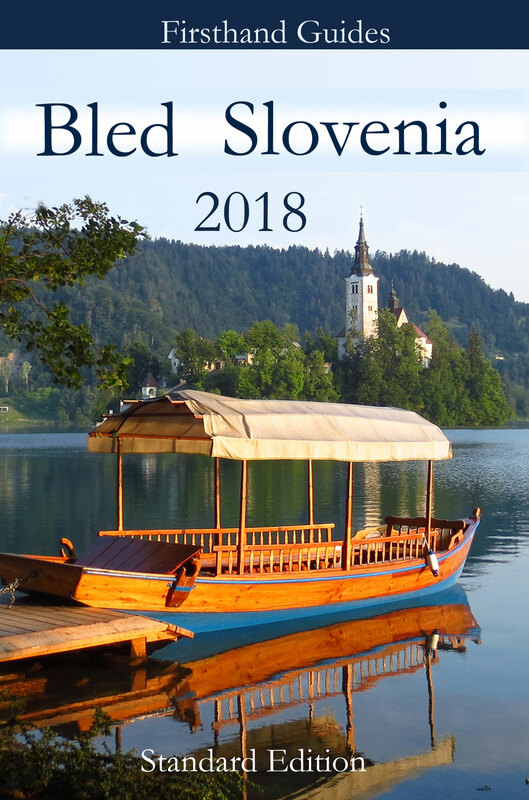 Slovenia is one of the most beautiful countries in Europe and Bled is the jewel in its crown. The medieval castle with its Romanesque tower sits high above the turquoise water of Lake Bled. In the lake on the tiny island is the church. It is dedicated to the Assumption of Mary (Cerkev Marijinega vnebovzetja), and was a place of pilgrimage in the past. Now tourists, are ferried there on colourful flat bottomed pletna boats. 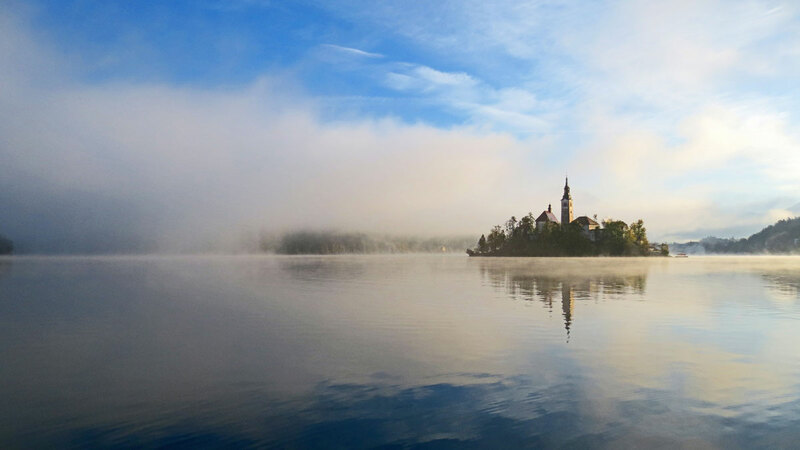 The Firsthand Guides to Bled are focused entirely on the town as a destination and as a base. They are intended for anyone who is travelling independently and holidaymakers who want to get to know the town quickly to get the most from their stay. The books are packed with important information from who to turn to in emergencies, through to where to find the best cake shop. And people who live in Bled will give you their insider knowledge on places to go and what to see. If you arrive in Bled by bus, should you turn right or left to find the lake when you get off? Either, if you turn right, take the next left. If you turn left take the first right. If you want to find out more about Slovenian wine, where should you go? For a good selection at affordable prices try Zdravljica a two minute walk from the bus station. Where is the nearest cash machine? There are six. Where are you? The shorter edition only contains the basic facts and advice. The standard and special editions contain much more. There are interviews with some of the people who make Bled the town that it is. There are suggestions of things to do and places to go not just in Bled, but I the surrounding area; the spectacular alpine Gorenjska region of Slovenia. The music, sport and music highlights of the year, entertainment for children at the Castle and some of the lesser known events. Activities in Bled are not ust focused on eight weeks in the summer, it is a 12 month destination with secrets to share. And many locals do share their insider knowledge of the town.The author, Davy Sims is a former BBC producer. He has lived in Bled for more than a year over a period of three years. He first visited in 1996 to produce a travel report about Slovenia. While he was there, he rang the Wishing Bell in the church on the island and wished to return – and did many times before his extended stays. He knows where to get the best pizza, the best easy walks and some wonderful people who have become friends. Here we are in Bled with a very dogeared copy of your firsthand guide. We’ve followed many of your suggestions and recommendations…..and gone off piste a few times with our own ideas. Could you find time to cover Barcelona for me in a similar way before the end of October please.